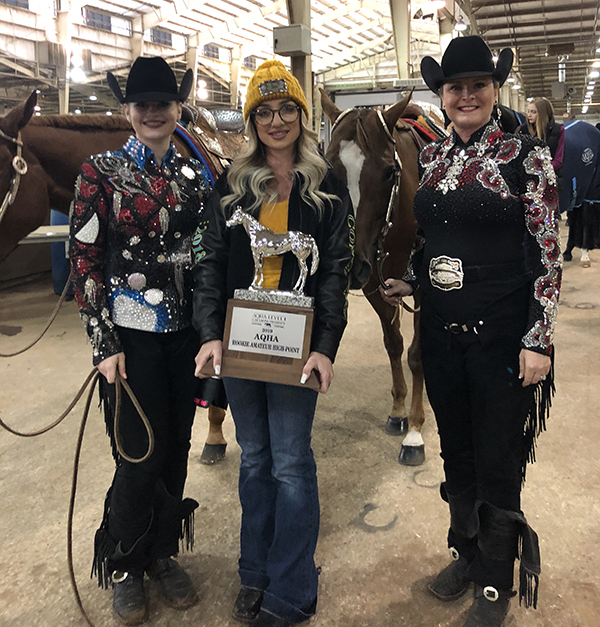 Heading to the AQHA Level 1 Championships was one of my goals for this year, and I couldn’t have been happier knowing I was finally able to step into the ring as an exhibitor with my Western Pleasure gelding, SST Lollipop. This was the first time I have ever been to the show, and I will say it was a memorable one. 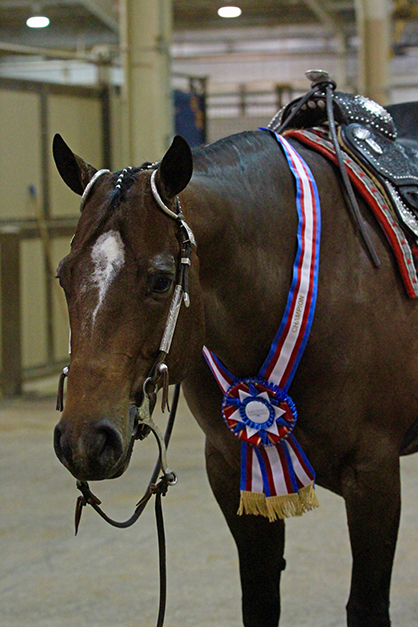 I have been to several other AQHA events, as well as other breed events of high levels, and the Level 1 Championship doesn’t disappoint. 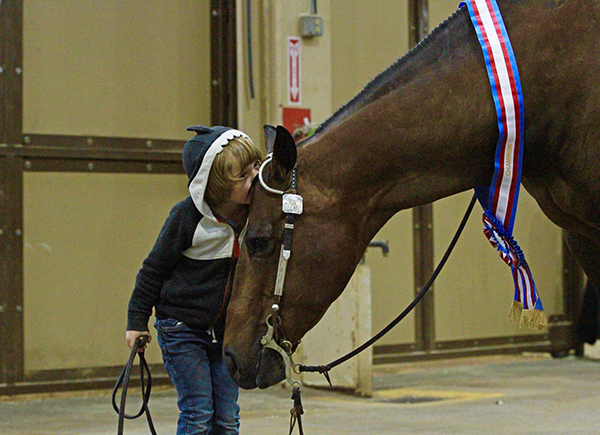 My fellow exhibitors traveled from all across the United States to meet in Oklahoma City to showcase their talents in all disciplines aboard their Quarter Horses. For this being my first time to such a show, everyone was very welcoming and encouraging in every aspect. I felt as if this show was extremely family oriented. It was very surreal jogging down the center of the pen and feeling as if I was on top of the world. At that moment, I content with where I was. 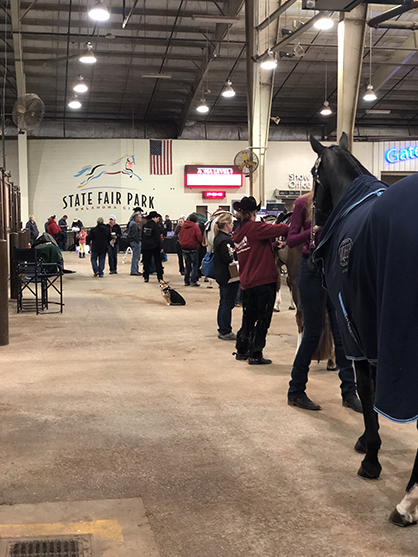 I will add that the overall attitude about the show was positive and that many exhibitors look forward to coming back next year as well as competing in more AQHA shows. 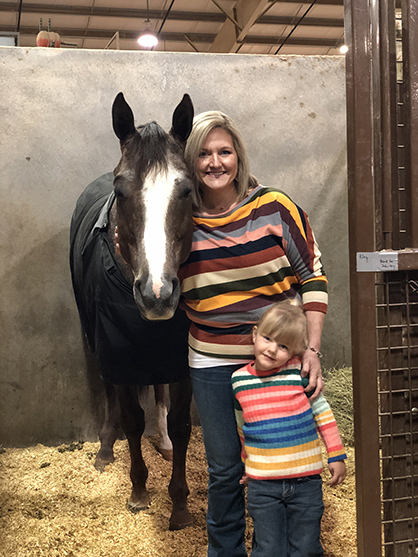 When I took some time to walk around the show grounds of Oklahoma City, I was able to talk with exhibitors of all age ranges and disciplines. Conversations were all light hearted, and it was so refreshing to hear from new faces that they are looking forward to even more shows this year and definitely will be marking their calendars for the next Level 1 Championship. 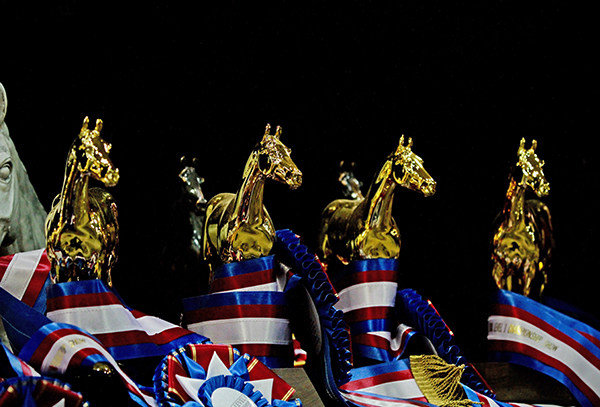 In my opinion, I think what made my experience at this show different from other shows was the fact that my fellow competition was more than willing to offer words of advice to me, in addition to future show goers as well. They opened up about their true thoughts on the show. I believe that shows such as this one are a good way to put your foot in the door, in a sense, because your name starts to get out there and further recognition starts. 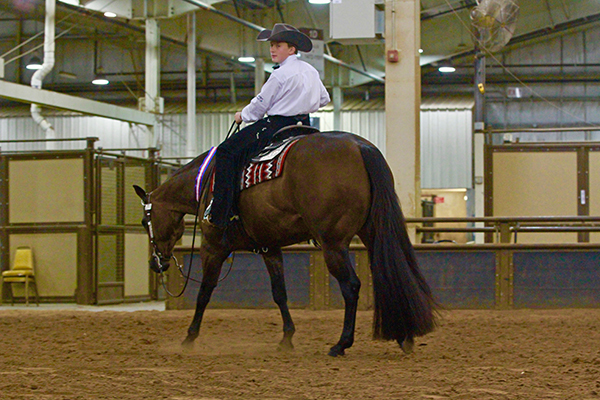 When I asked around, I discovered a trend among competitors that a lot of hard work and planning went into getting to this show. I, myself, have been preparing for weeks. 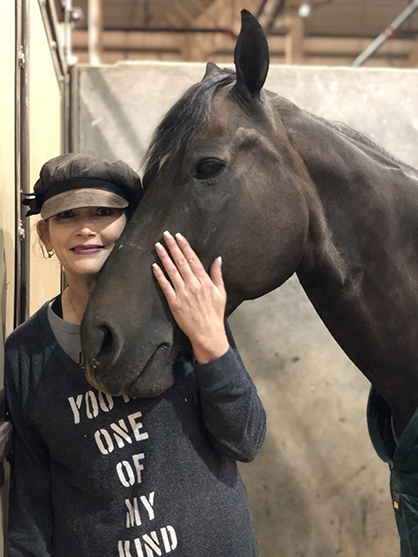 This included working on my mindset, scheduling, taking time off college, and traveling to my trainer, Dave Archer’s, ranch and putting the hours in the saddle. 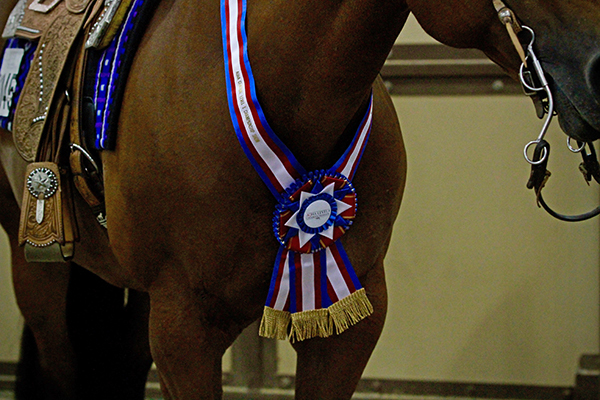 For many, this was their first Level 1 Championship, and there was a common trend that everyone, no matter their placing, was pleased with how the show was carried out. 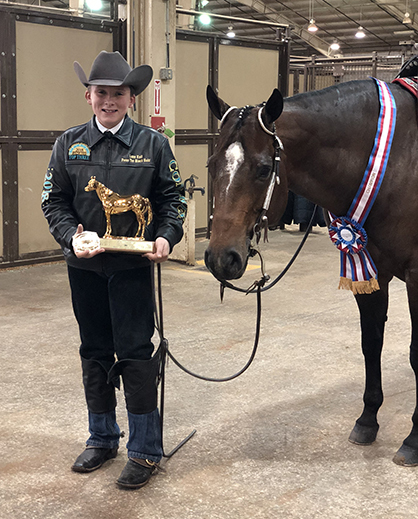 From the challenging patterns to the new competition, as well as the words of advice to future competitors, the AQHA Level 1 Championships was the place to be.